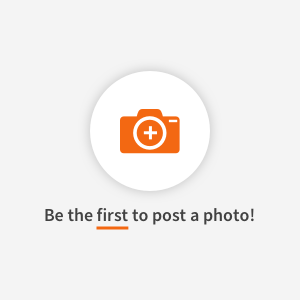 Find healthy, delicious gluten-free cake recipes, from the food and nutrition experts at EatingWell. 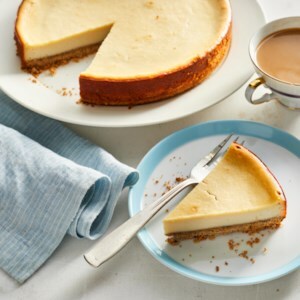 This luscious vegan cheesecake nixes the dairy in favor of a filling made with coconut cream, tofu and cashews or macadamia nuts instead of the traditional eggs and cream. Coconut oil and nuts make for a rich-tasting and crunchy crust, so nobody will miss the butter. Mochi (made from glutinous sweet rice flour) is a pillow-like dough that the Japanese fashion into all kinds of confections. In Hawaii it's made into this simple, rich cake with the addition of eggs. 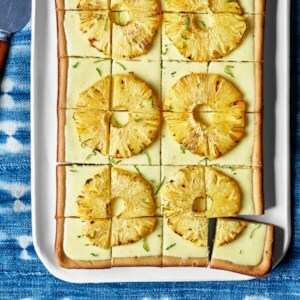 We love it with this zesty lime curd topping for an extra-special dessert. Recipe adapted from Chef Greg Harrison, Pacific'O Restaurant. 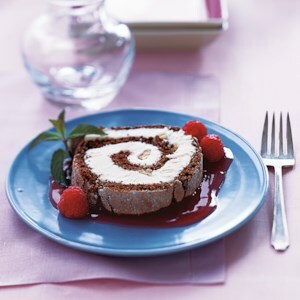 This make-ahead chocolate dessert recipe is spectacular, yet has under 100 calories per serving. 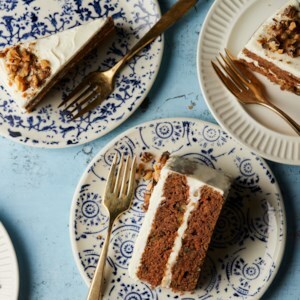 Almond flour provides the base for this tender gluten-free cake that is filled with carrots, spices and just a hint of coconut. Look for almond flour in the gluten-free baking section of most major supermarkets or natural-foods stores. 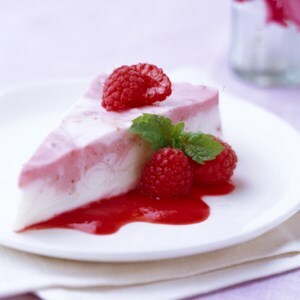 Reduced-fat cream cheese and yogurt help to make this delicious, diabetic-friendly dessert under 130 calories per slice. 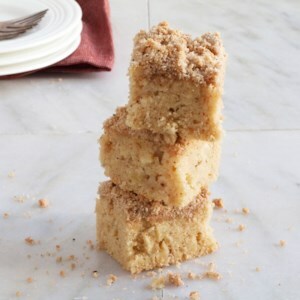 Have your coffee cake and eat it too with this easy gluten-free recipe that tastes just like the real thing. The addition of yogurt and diced apple makes for a wonderfully moist cake with a crumbly topping, perfect for brunch or for a coffee-break treat. 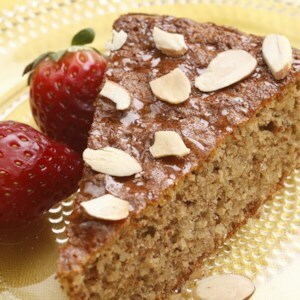 Ground almonds, almond flour and coconut sugar combine in this healthy, gluten-free cake recipe. Don't skip the dry sherry syrup! 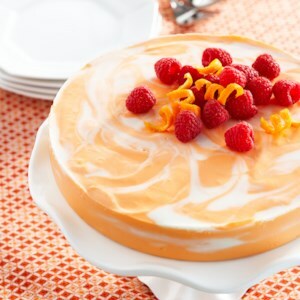 It gives this cake a complex, fruity flavor that results in an extra-moist cake. Serve with afternoon tea, brunch or as a special dessert. 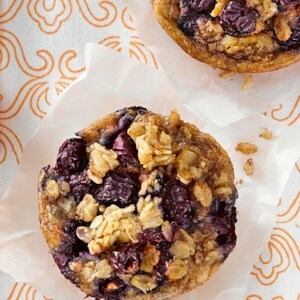 This oatmeal-meets-muffin-tin cake recipe is perfect for having a healthy breakfast available on busy weekdays. Make a batch on the weekend and keep them in your freezer. For a grab-and-go breakfast, reheat the oatmeal cakes in the microwave for about 40 seconds. 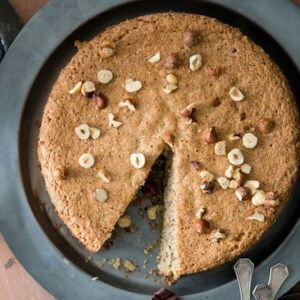 Honey and almonds flavor this simple (and gluten-free) cake. 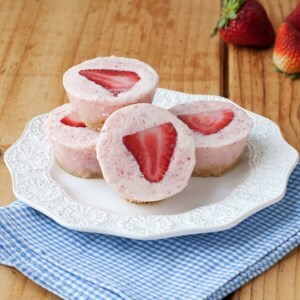 It's lovely for afternoon tea or a spring holiday dessert. Be careful not to overbeat the egg whites--they should be white and very foamy, but not at all stiff or able to hold peaks. If you beat them too much, the cake may sink in the middle as it cools. This light, flourless cake recipe features crispy, chewy rounds of almond meringue layered with strawberries and whipped cream. 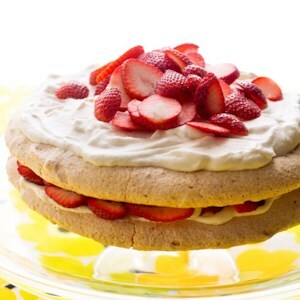 For the best results, avoid making the meringue layers on an overly humid or rainy day. The moisture prevents proper crisping. 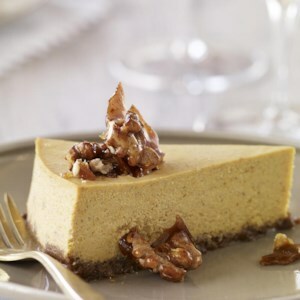 We pulled out a few of our favorite EatingWell tricks to achieve plenty of creaminess in our pumpkin cheesecake without all the saturated fat of a typical recipe: nutrient-packed canned pumpkin and pureed nonfat cottage cheese replace some of the cream cheese. A touch of pumpkin pie spice warms up the flavor. For the crust, shop the natural-foods section for gluten-free gingersnaps without any hydrogenated oil. Simple toasted walnuts are an elegant garnish. Or try making candied walnuts. Just be careful not to eat all of them before they make it to the cake! 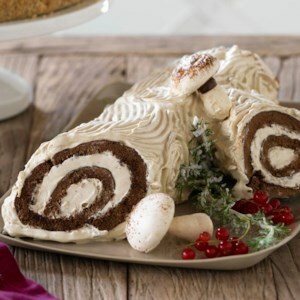 A bûche de Noël--a cake decorated like a yule log--is a traditional dessert served around Christmastime in France, Belgium, Canada and some other French-speaking countries. Our gluten-free recipe, which is just as tasty served cold as it is at room temperature, is lighter than air. 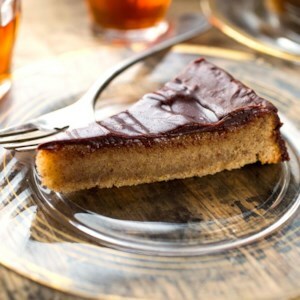 The chocolate brown-butter génoise cake is easy to roll up and it's covered with a billowy espresso-spiked 7-minute frosting. We've substituted agave nectar for white sugar in the frosting. It's pretty garnished with meringue mushrooms and sugared rosemary. Layers of hazelnut-and-chocolate meringue meld with refreshing raspberry sorbet. This cake should be made the day before serving. 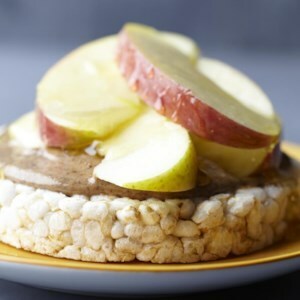 This gluten-free, healthy snack uses almond butter and apples, but feel free to swap for other nut butter and fruit combinations, such as peanut butter and banana. This pudding-like gluten-free coconut cake recipe gets its amazing flavor and texture from pureed oranges. Sour oranges (aka Seville oranges) are ideal in these healthy coconut cakes because of their acidity and thin skin, but most citrus fruit will work. 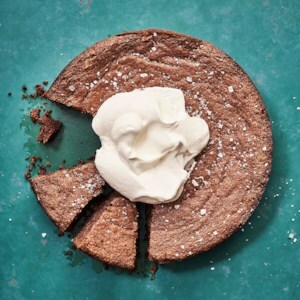 Coconut flour is high in fiber and absorbent, making it a great choice for moist desserts. 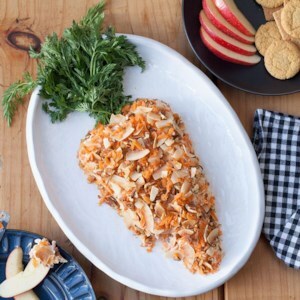 Almond flour adds fabulous texture and nutty flavor. Look for gluten-free flours in natural-foods markets.